Narcotics/Vice Bureau detectives report the arrests of two males for a narcotics related incident that occurred on Wednesday, March 11, 2015 at 9:15 pm in Massapequa. According to detectives, as part of the Long Island Heroin Initiative, the Narcotics/Vice Bureau, in conjunction with the DEA LIDO Group D-13, conducted an undercover operation in the Pathmark parking lot on Carmens Road. Joshua Moore, 24, of Calebs Path, Central Islip and Edward Brooks, 57, of Grand Blvd., Brentwood met with an undercover detective and sold him a quantity of heroin as well as a quantity of crack cocaine for an agreed upon amount of money. As other members of the Narcotics/Vice Bureau approached to place the defendants into custody, Moore and Brooks fled on foot. After a short foot pursuit both were placed under arrest. Moore and Brooks are each charged with two counts of Criminal Sale of a Controlled Substance 3rd Degree and two counts of Criminal Possession of a Controlled Substance 3rd Degree. They will be arraigned in First District Court, Hempstead on 03/12/2015. 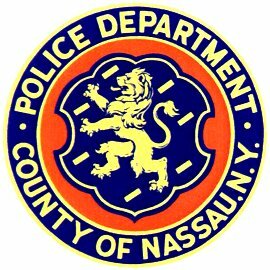 Subject: LongIsland.com - Your Name sent you Article details of "Nassau Police Arrest Two Men for Sale of Narcotics"